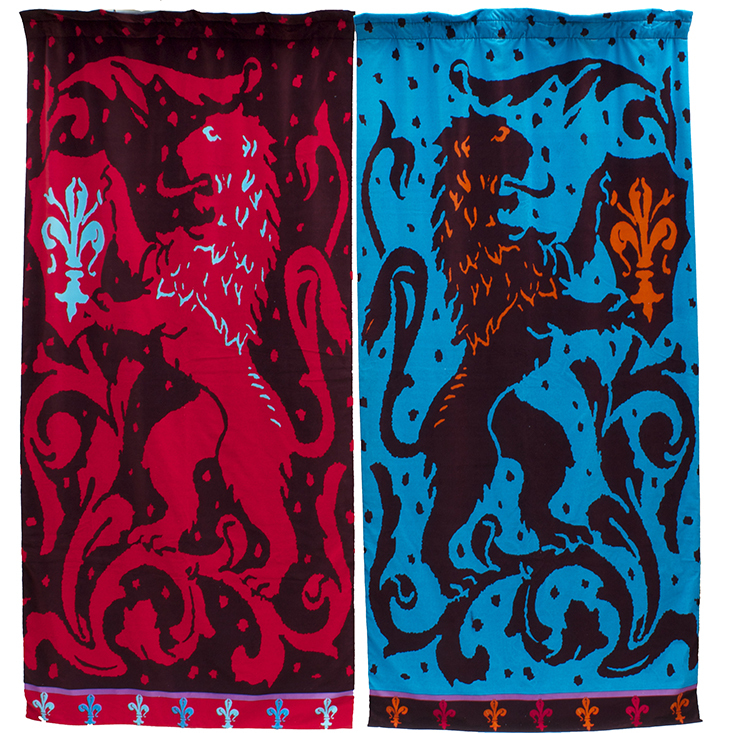 A complimentary pair of heraldic lions printed on velvet. These stand 270 cms high and each panel is 124 cm wide. 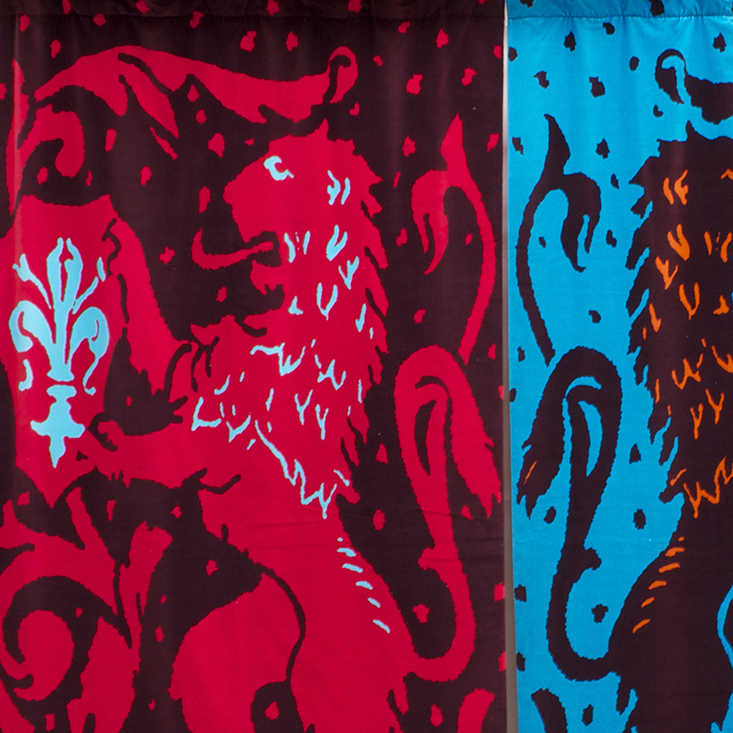 Heraldic Lion curtain panels can be printed to size and come in a variety of colours. See Herladic Lion fabric in our fabric section for colourways.